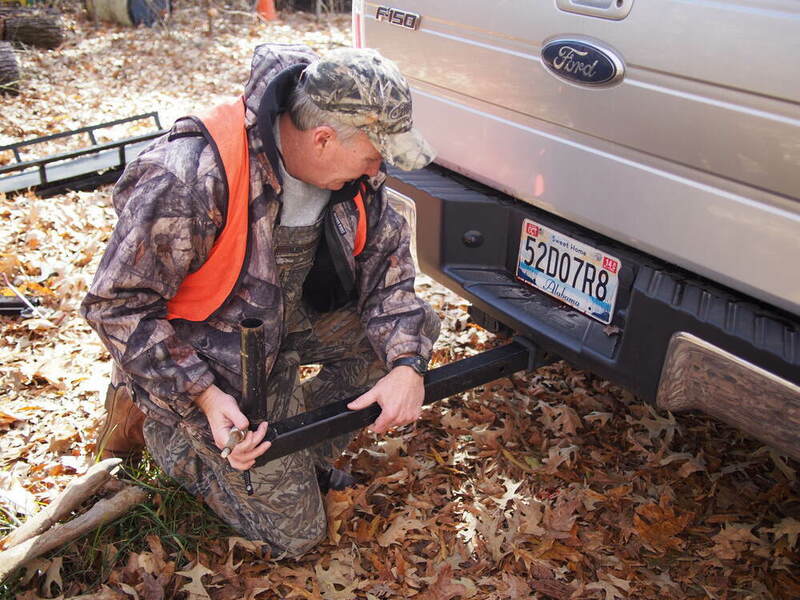 Hoist mounts in your hitch so that you can lift and load heavy cargo into your truck bed. 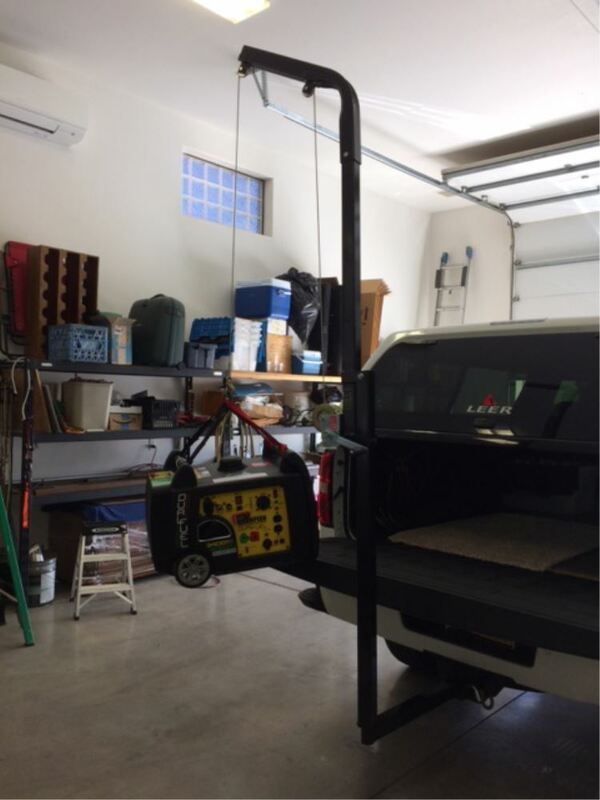 Winch and pulley system securely lifts and holds up to 300 lbs. Swivels 360 degrees so that you can easily swing your game or gear into your truck bed. 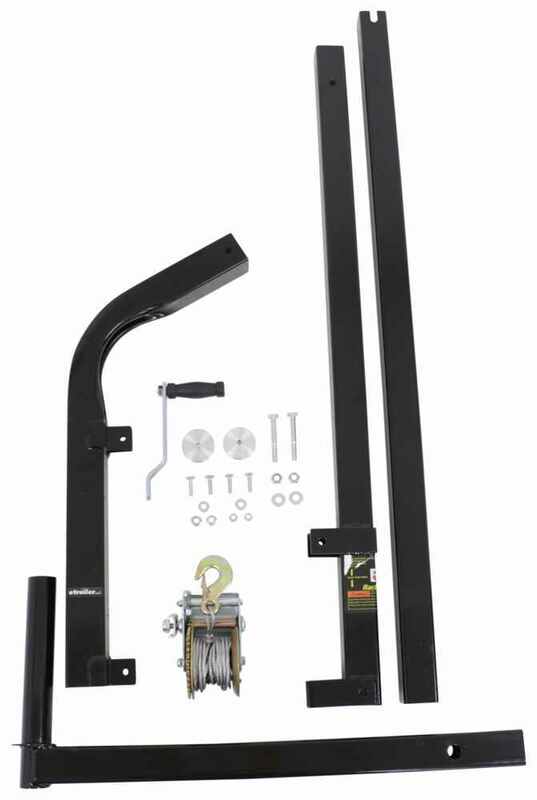 Call 800-298-8924 to order Viking Solutions hunting and fishing part number 310-VRJ001 or order online at etrailer.com. Free expert support on all Viking Solutions products. 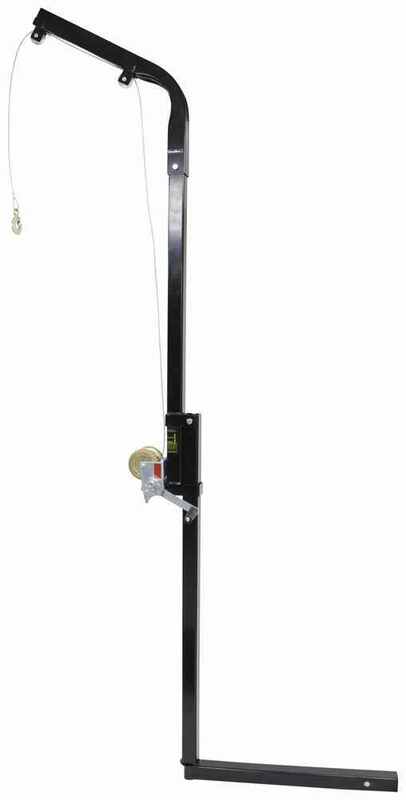 Guaranteed Lowest Price and Fastest Shipping for Viking Solutions Rack Jack II Hoist with Winch for 2" Hitches - 300 lbs. Hunting and Fishing reviews from real customers. 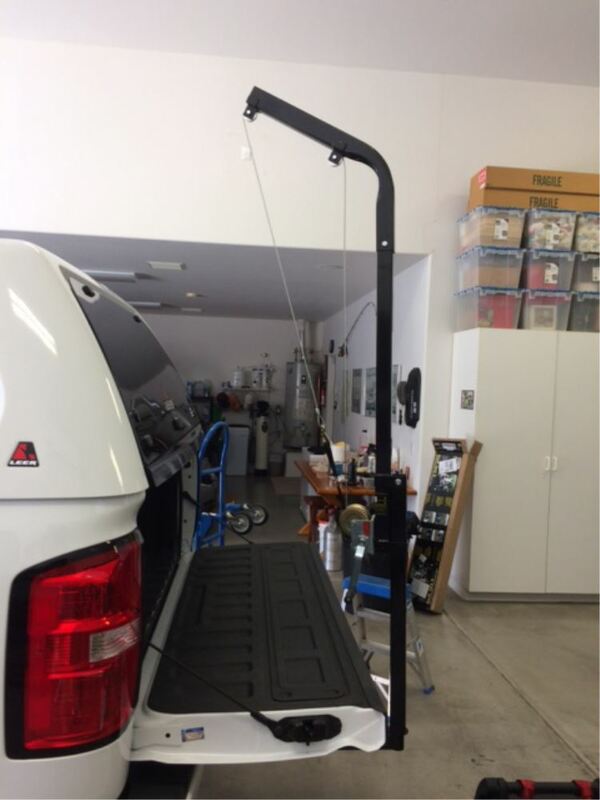 Hoist mounts in your hitch so that you can lift and load heavy cargo into your truck bed. 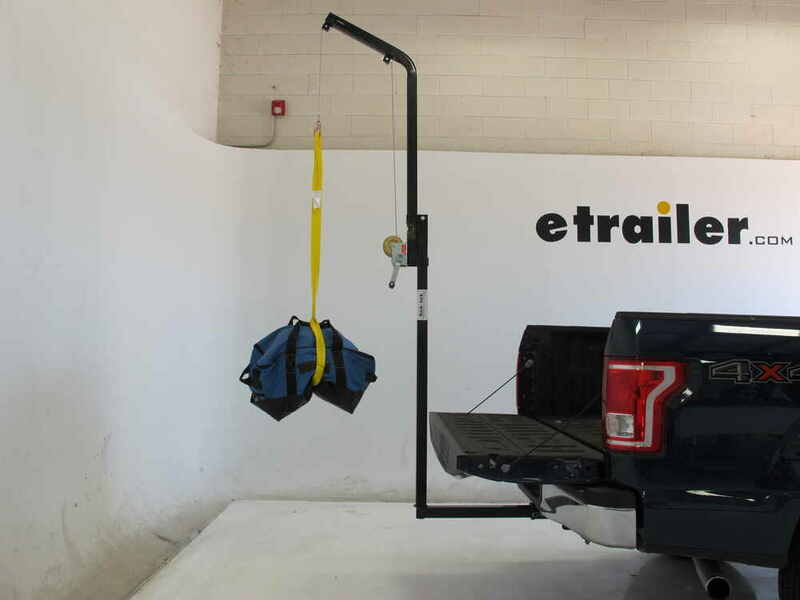 Winch and pulley system securely lifts and holds up to 300 lbs. Swivels 360 degrees so that you can easily swing your game or gear into your truck bed. 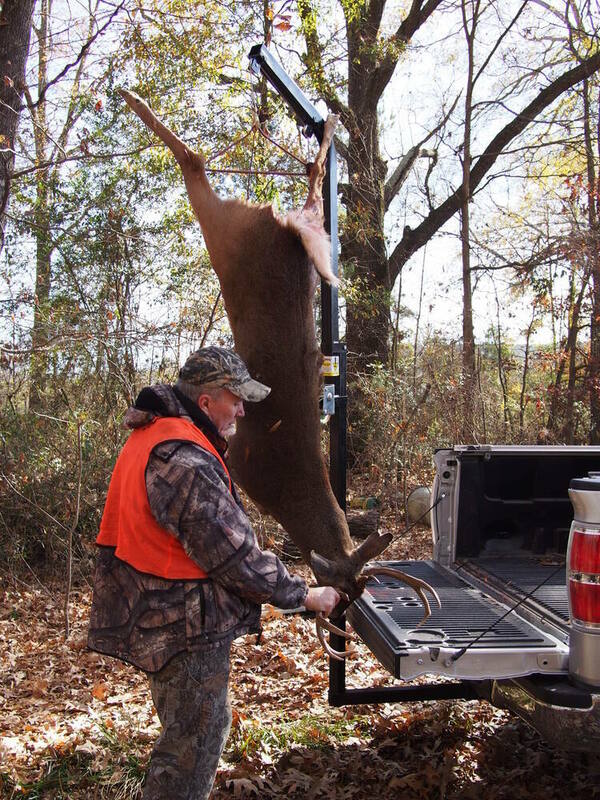 The Rack Jack II hoist makes it easy to load your deer or other heavy gear into your truck bed. This hitch-mounted hoist features a galvanized steel winch and heavy-duty aluminum pulleys for securely hoisting and holding hefty loads. 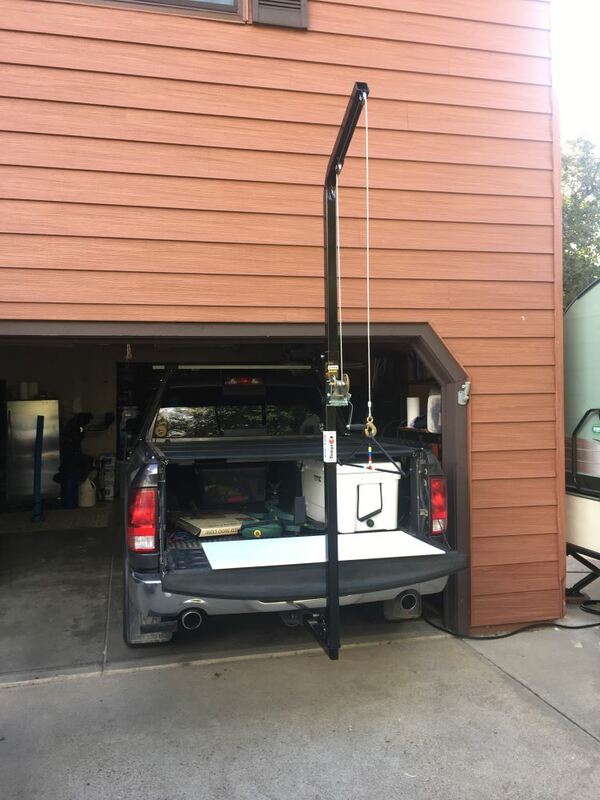 The vertical round pole on the hitch adapter allows the mast to swivel 360 degrees so that you can turn the hoist to lower your game or gear into your truck bed. Setup is quick and easy with just 3 pieces that lock together. 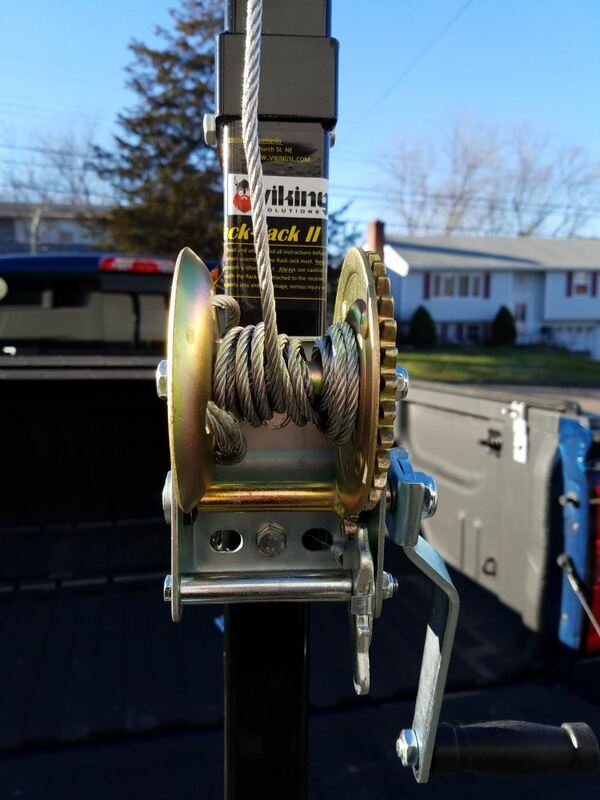 Insert the hitch adapter into your 2" trailer hitch receiver. 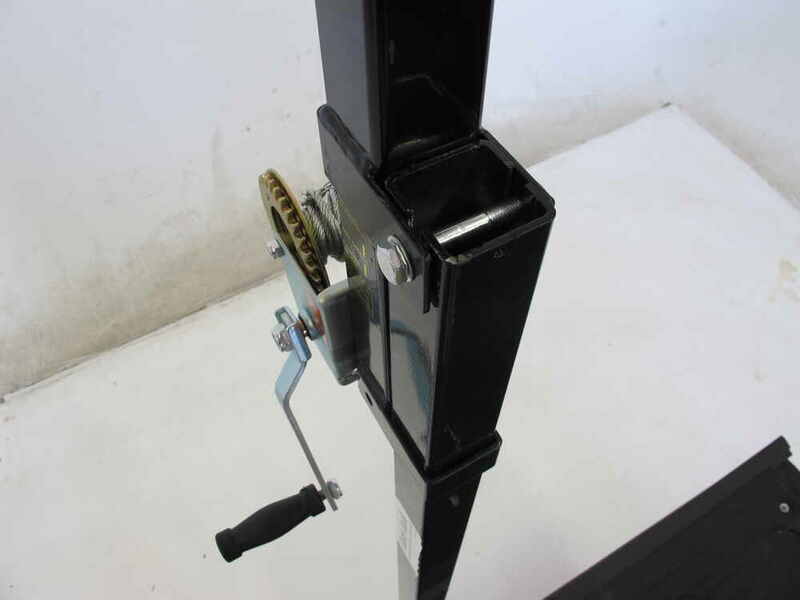 Attach the bottom portion of the upright mast to the hitch adapter, and then connect the top portion to the bottom. The top part of the mast should already have the winch attached. When you're finished, simply break down the 3 pieces for storage. 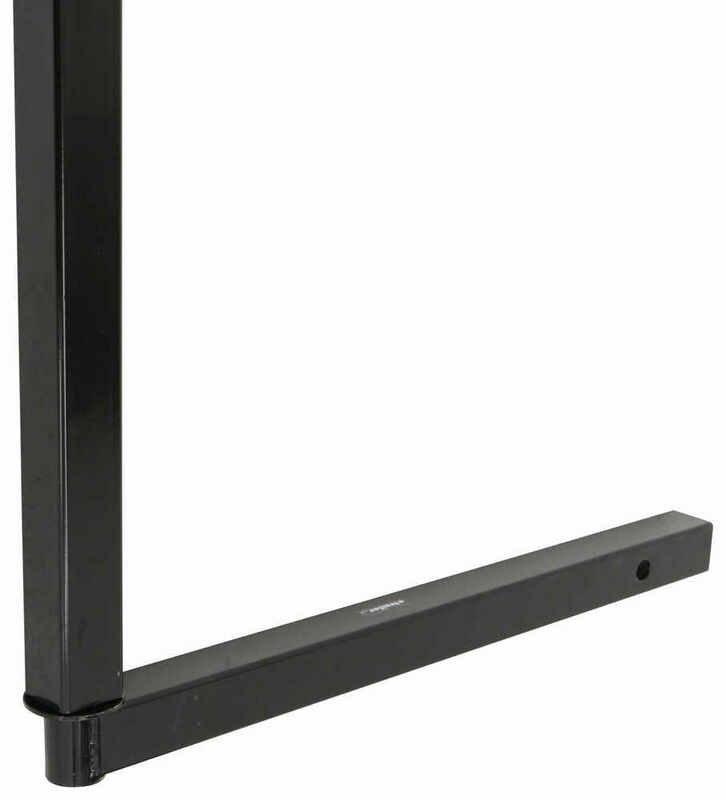 A ground stand (310-VRJ002) can be purchased separately so that you can use the Rack Jack II for field dressing. 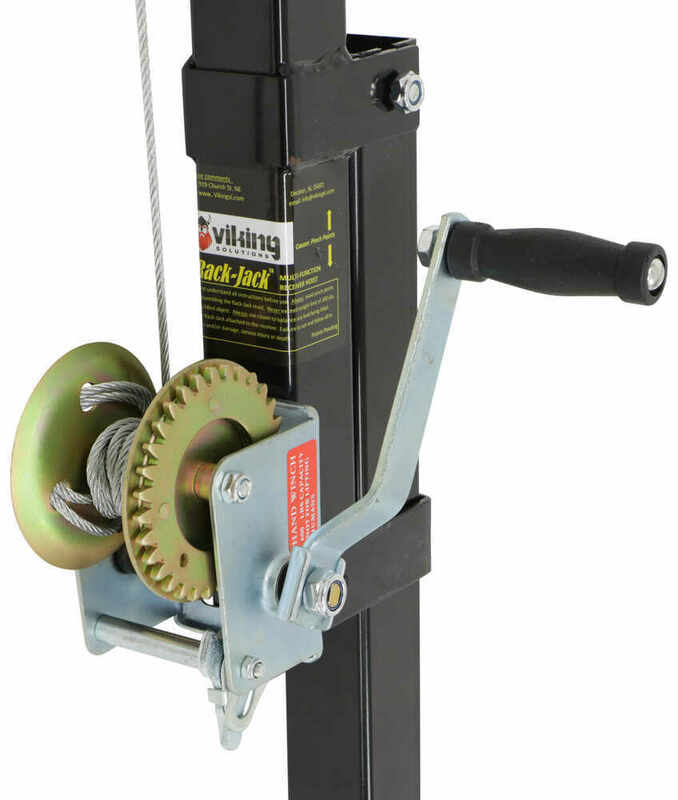 Just mount the bottom portion of the Rack Jack II on this stand instead of on the hitch adapter to get a stand-alone field-dressing hoist for cutting and gutting. A gambrel for suspending your kill is not included. Hoist mounts to a tree or pole and lifts your game so you can cut it and gut it. Winch and pulley system lifts and holds up to 400 lbs. Lightweight hoist with simple design is easy to set up by yourself - just wrap the chain around a tree and secure. Haul your heavy game or gear to your vehicle with this wheeled cart. 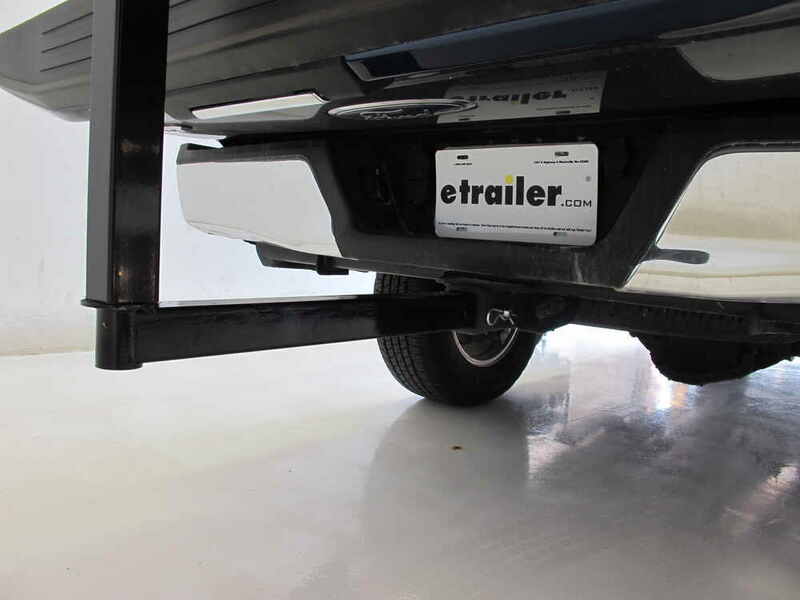 Then use the included hitch adapter to easily turn the cart into a hitch-mounted cargo carrier for transporting your gear. Raised side rails keep cargo in place. 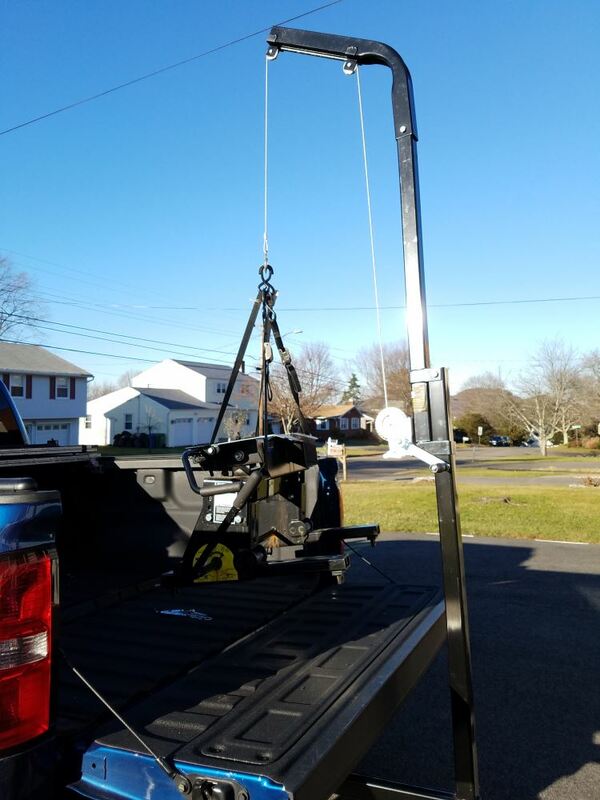 Hoist mounts in your hitch so you can load heavy cargo into your truck bed. Winch and pulley system lifts and holds 650 lbs. 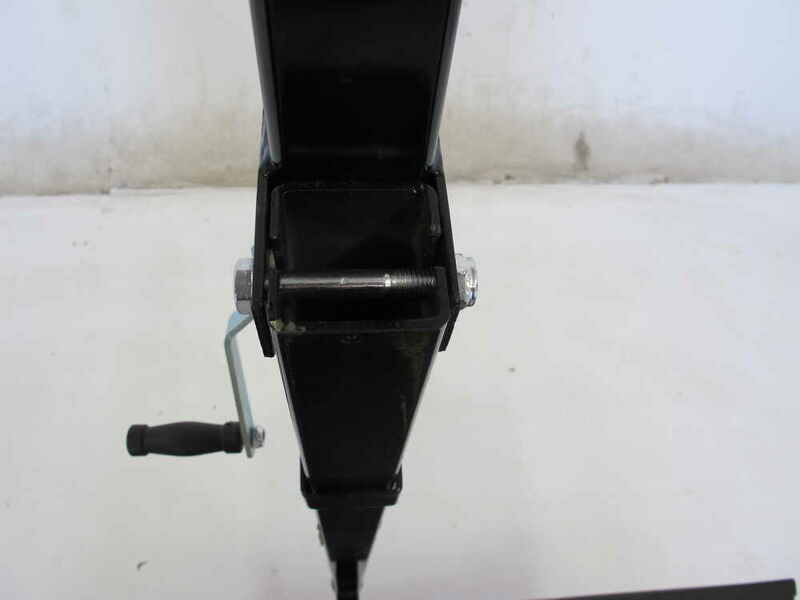 Stabilizer legs take the load off of your hitch. 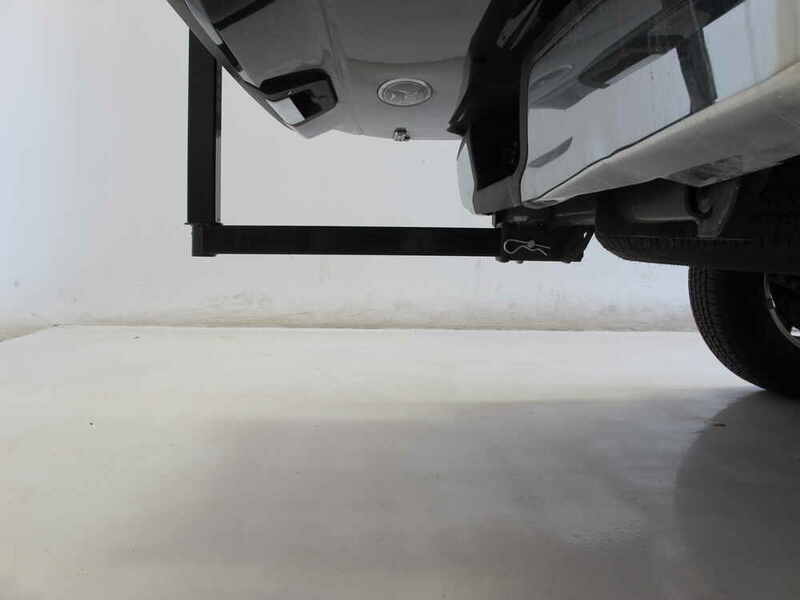 Swivels 360 degrees so you can easily swing your cargo into your truck bed. Today we'll be taking a look at the Viking Solutions Rack Jack Game Hoist, Part Number 310-VRJ001. The 360 degree rotation of our game hoist is going to allow us to easily load and unload gear onto our truck bed. Whether that's generators, large objects, or game during hunting season as long as it's under 300 pounds. The machine pulleys are going to prevent any kind of binding during cranking. 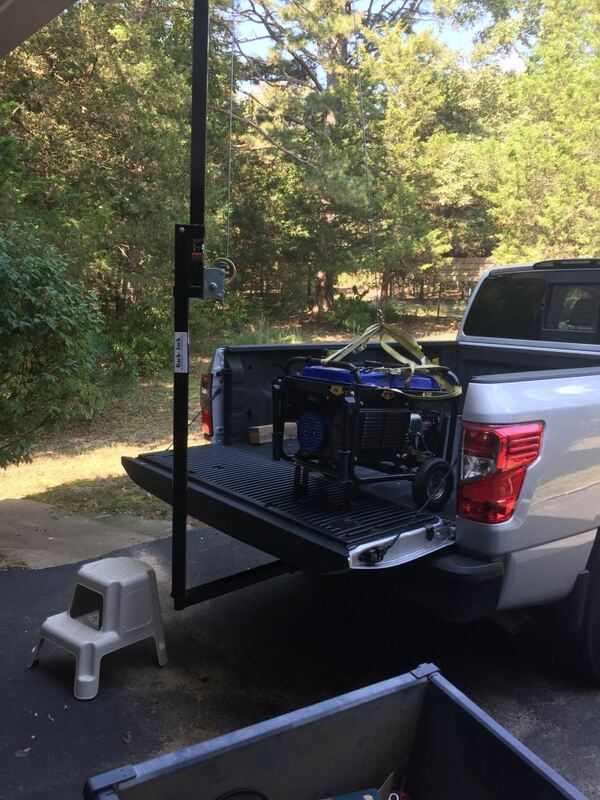 There is an optional ground stand available for the rack jack, which will help with when field dressing or whenever trying to unload your truck whenever you're home. That Part Number is 310-VRJ002. 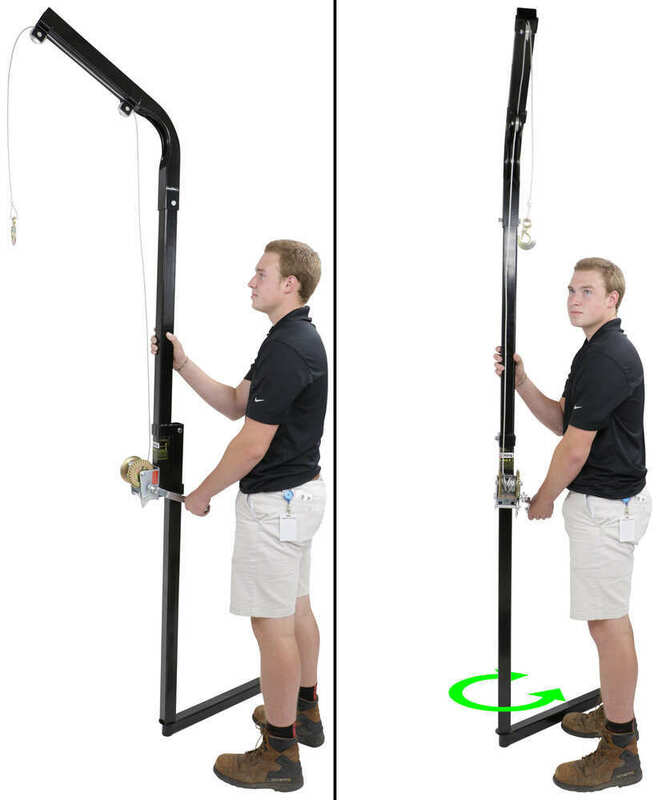 This game hoist works with 2" x 2" trailer hitch receivers, but is not meant to be used when your vehicle is in motion. 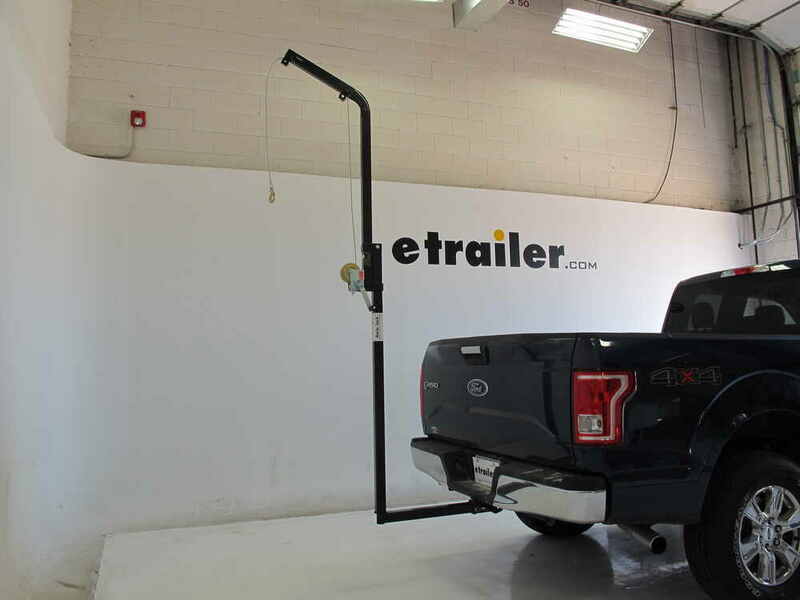 You'll simply remove the vertical post here, and then you can drive with the hitch adapter on your vehicle. Now that we've gone over some features, we're gonna show you how this works. Now the strap we're using today is not included and we do recommend the use of tree strap to secure any of your gear. Those can easily be found here at etrailer.com. This is going to be a safety call winch which will easily allow us to raise or lower our cargo by flipping our lever. From the top of the rack jack to the bottom of the jack we're going to measure 103". From the hitch pin hole to the closest point we're going to measure 22", and from the hitch pin hole to the edge of the rack jack we're going to have 24 1/2", and our cable is going to measure 26' 3". Now we can show you how to set up your rack jack. We're gonna start by taking the trailer hitch adapter. We're going to set it into our hitch, lining up our hitch pin holes. Today we're using a pin and clip. 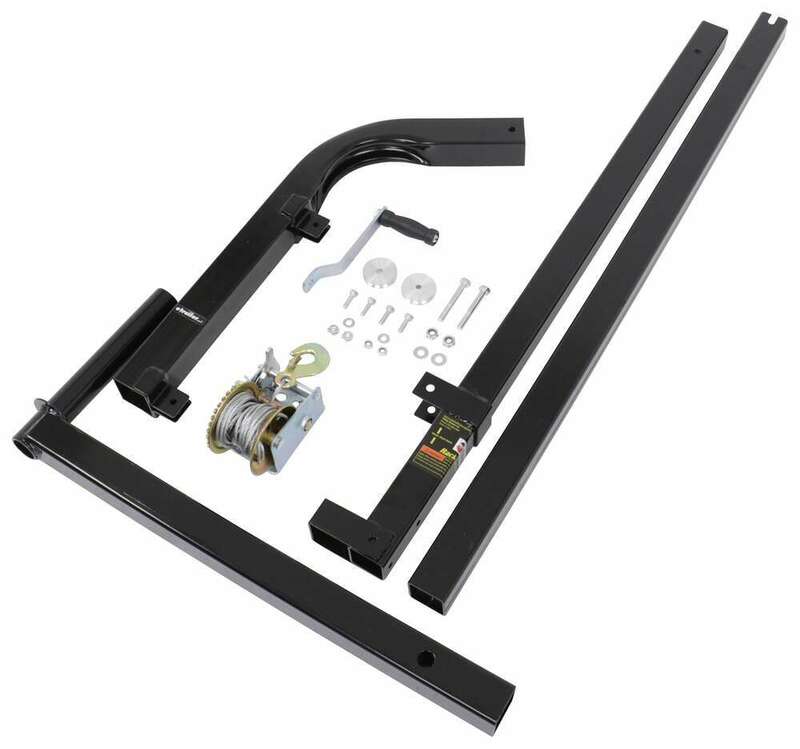 This can be found on our website with Part Number PC3. We also have hitch locks and anti-rattle devices available on our site as well. Now we can take the vertical column and place it over our hitch adapter. Next I found it easier to climb up into our truck bed to actually load up our winch assembly. Placing it on so that our bolt holds it into the U-bracket. Now we're ready to load up our gear. And that's going to be our completed look at the Viking Solutions Rack Jack Game Hoist, Part Number 310-VRJ001. 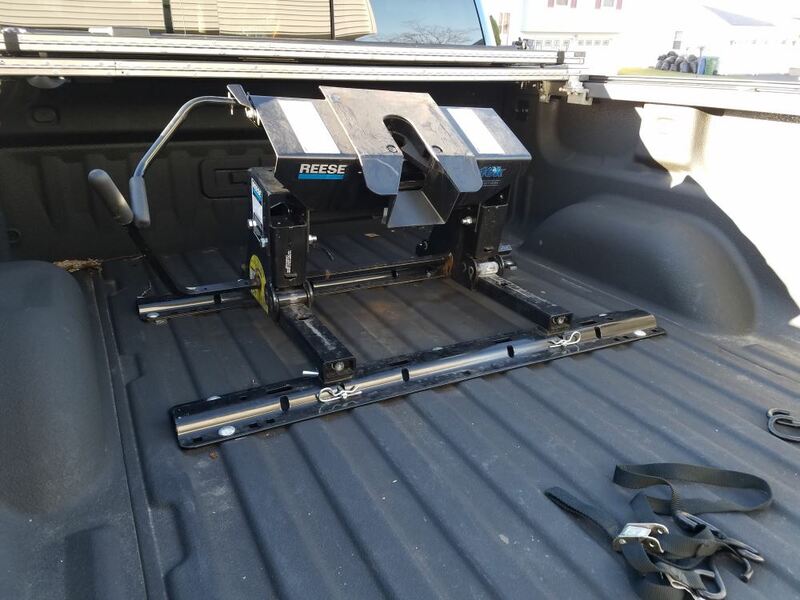 Order: RelevanceNewestRating - High to LowRating - Low to High Hoist mounts in your hitch so that you can lift and load heavy cargo into your truck bed. 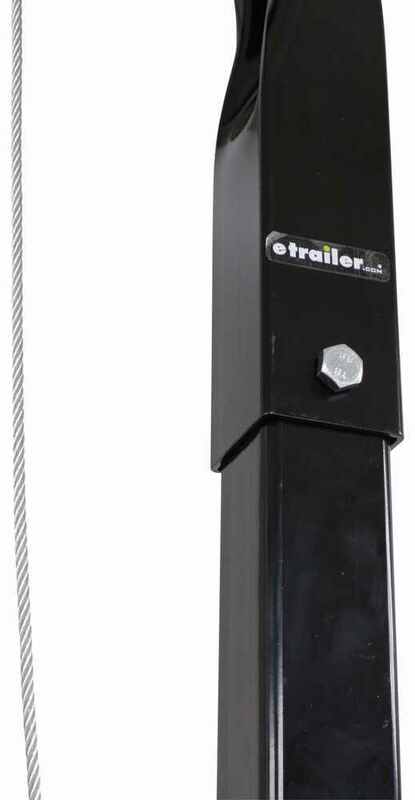 Winch and pulley system securely lifts and holds up to 300 lbs. Swivels 360 degrees so that you can easily swing your game or gear into your truck bed. 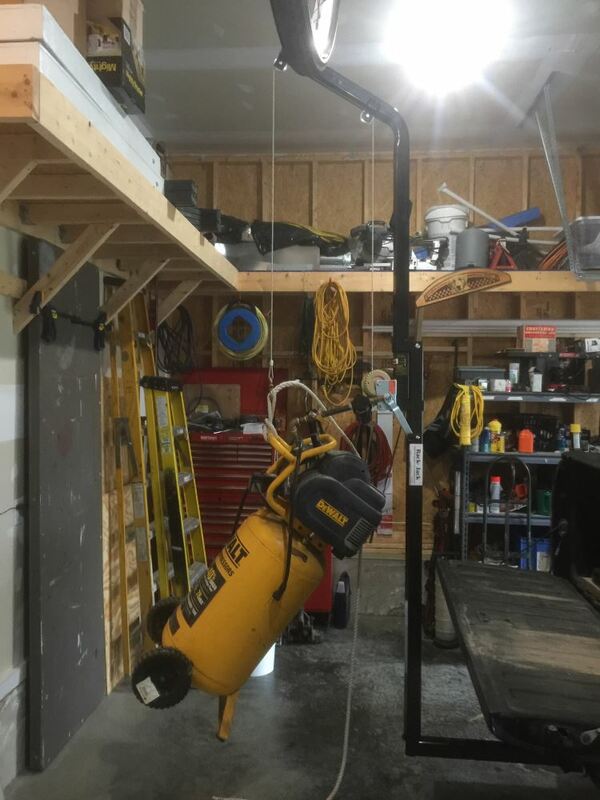 Superb Hoist, been using it for Deer Processing. Works like a charm. Very glad to have purchased it from your fine Company! Do you have a question about this Hunting and Fishing? Yes, the Viking Solutions Rack Jack II Hoist # 310-VRJ001 will work well to lift a generator into the back of a truck that has a cap installed. 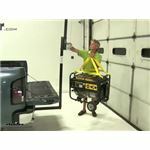 If you watch the review video I attached you can see this lift being used to load a generator in a truck and you can see that there would be plenty of clearance for the lift to swivel and not interfere with the cap. Highest quality hunting and fishing for the best price. Most detailed, accurate hunting and fishing information available.